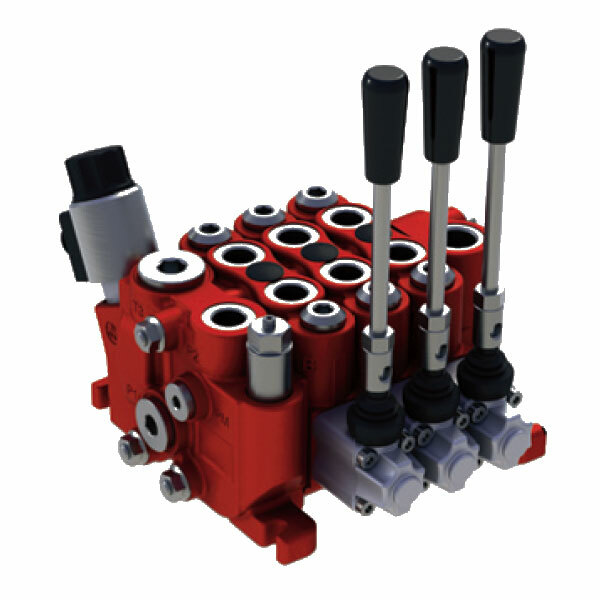 First of all, one of the most crucial components of a hydraulic system is the directional control valve. Indeed, the base function of this vital system component enables for the control of fluid flow into different parts of a hydraulic system. It also enables different consumers to provide rotational or linear function. What’s more, typically the directional control valve is comprised of a sliding spool inside of a valve body. The control can be mechanical or electronic. If you’re looking for a high-quality hydraulic directional control valve for your hydraulic system, discover the range available from HYDAC. HYDAC Nordhydraulic Sectional Directional Control Valves are available with 1 to 10 sections and 3/8″, 3/4″ or 1/2″ ports. Therefore, this is ensuring you will find one that best meets your requirements. It presents a nominal flow rate from up to 180 l/min and maximum operating pressure of 350 bar. Furthermore, the hydraulic directional control valve is also available with manual, cable, pneumatic, hydraulically and electro-hydraulically spool controls. What’s more, spool position indicators are optional and they are available in our Mobile Valves program. Find the directional control valve you need from the product range below, or get in touch with HYDAC for further assistance.